We are a company which is well known in the market as the trader and a supplier of a wide range of door and window hardware accessories which have been procured from reliable vendors in the market. 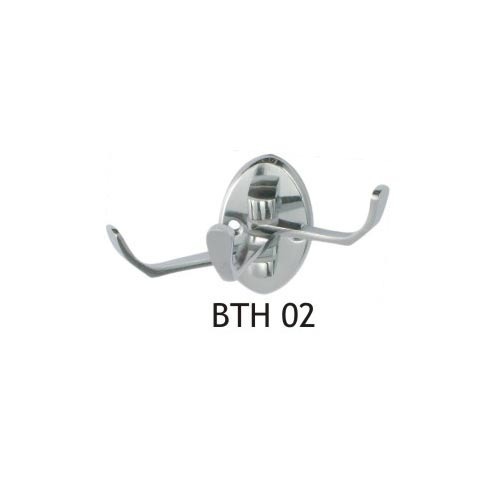 The Brass Hooks we offer to the customers have a high tensile strength and they are widely used on the doors. These products have been priced at very reasonable rates in the market and they are non-corrosive in nature. Our products offer a long lasting performance to the customers in the market. Serving our clients for past 16 years, we have been successful in meeting their product demands for Hardware Accessories . Our team of procuring agents procure Hardware Accessories for Doors and Windows such as Brass Aldrops- GA-250, Mortice Handle G-M 482, etc from reliable vendors of the nation. Our vendors are selected on various factors like credibility, financial status and production capacity. Before supplying, our products are checked for design accuracy, rust resistance, finish and polish.